The Edinburgh Clinic is celebrating 10 years of providing excellence in private healthcare to insured and self-pay patients locally and across Midlothian and Scotland. In this blog we look the clinic’s development over the last 10 years and reflect on how, since the day we opened our doors, we’ve delivered on our aim: to provide first-class independent healthcare for the local community in a safe, comfortable and welcoming environment; one in which we would be happy to treat our own families. Number 40 Colinton Road started life in 1888 as a stunning and rather grand family home in a leafy suburb of Edinburgh, yet only minutes from the heart of the city. Since 2008 it has been home to The Edinburgh Clinic, offering fast access for outpatient consultation, on-site diagnostic imaging and day-case surgical treatment. It’s an environment that wins praise from patients for its welcoming atmosphere. With convenient on-site parking, we have attracted a large number of patients from all over Scotland’s central belt. And we offer patients fast and discrete access to an ever-expanding range of treatments and healthcare services, including many not as readily available on the NHS. So, if you are seeking out a clinic that can offer you a whole range of treatments all under the same roof, you’ll feel at home at The Edinburgh Clinic. When you step inside our beautiful Victorian building, the first thing you notice is the open and bright spaces. Our treatment rooms are equally relaxing, thanks to the way we’ve retained the stunning architecture whilst installing the very latest medical equipment. The Edinburgh Clinic are renowned for being specialists in eye care. With 10 Consultant Ophthalmic Surgeons we cover a wide range of eye treatments. From cataract surgery to glaucoma treatment to macular degeneration, and the only private vitreo-retinal service in the East of Scotland. We have the only AfPP accredited theatre in Scotland, with an MRI and CT scanner on-site, plus X-Ray facilities and the only private DEXA scanner in Scotland. We also offer ultrasound. Patients undergoing scans at The Edinburgh Clinic are assured a quick turnaround, with results normally provided in 48 hours compared to 2 weeks at other private hospitals in the city or longer via NHS. And our team of expert consultant radiographers and medical technicians are expert at putting patients at ease before their scan. For patients accessing our Orthopaedic services, they can be referred for a scan on the same day as seeing one of our Orthopaedic Surgeons. All inside our modernised Victorian building. Patient safety has always been at the forefront of everything we do at The Edinburgh Clinic. Recent results from our Patient Survey showed 100% of patients rated our overall service as ‘very good’ or ‘excellent’. We are a day-case hospital meaning that you get to go home after any surgery performed. Our tranquil and relaxing Haven recovery areas are perfect for patients to recover after surgery. 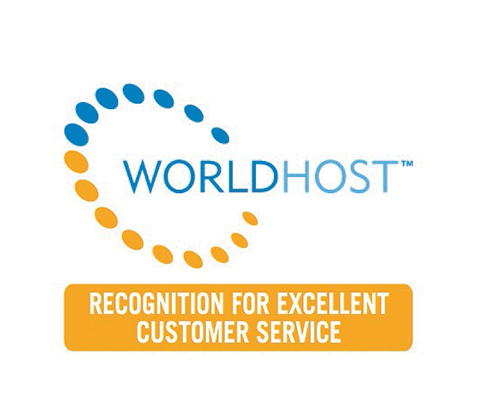 All our staff have been trained in WorldHost customer service training, the same used at the London Olympics in 2012. At The Edinburgh Clinic we also offer a Private GP service. This service has grown over the years, partly due to the long NHS GP practice waiting times and the increasingly limited appointment times they allow patients. Appointments with our experienced Private GP’s can be made same day or at very short notice and patients will benefit from extended and in-depth consultations focussed on the symptoms they present with. Our GPs can also, quite uniquely, refer patients immediately onto another specialist within the clinic. For example, if you had a troublesome knee and wanted to speak to one of our GPs, they could see you, refer you onto an Orthopaedic surgeon and arrange a scan and surgery if required. All in the same place, under the one roof with no waiting times. It’s fantastic to provide our patients with state-of-the-art facilities and medical equipment. But it’s better to introduce them to the experienced medical professionals who are also of the highest calibre. Our small and consistent team means with each return visit you can expect to meet the same smiling faces ready to greet you and treat you. And if you need help from more than one specialist Consultant we pride ourselves on our joined up care – our teams are inter disciplinary and work together for the best outcomes for patients. We aim to be the best and preferred provider of private healthcare services in the communities we serve. We want to thank our many patients across the past decade for choosing The Edinburgh Clinic and, while we plan further growth across the next 10 years, we promise to maintain & improve our high standards as well as offering first-class independent healthcare; one in which we would be happy to treat our own families.